Mary Ann Caibaiosai is one of nine Indigenous grandmothers who recently graduated this year from Wilfrid Laurier University, receiving her master’s of social work with an Indigenous Field of Study. The Aboriginal Field of Study in the MSW program has an Indigenous worldview aspect included in the curriculum. The program also includes the use of Indigenous elders, a traditional circle process and Indigenous ceremonies. Caibaiosai is originally from the Wiikwemkoong First Nation on Manitoulin Island. However, she left her home and partner, both of which now reside just outside of Ottawa, to come to Waterloo to complete her masters degree in social work. 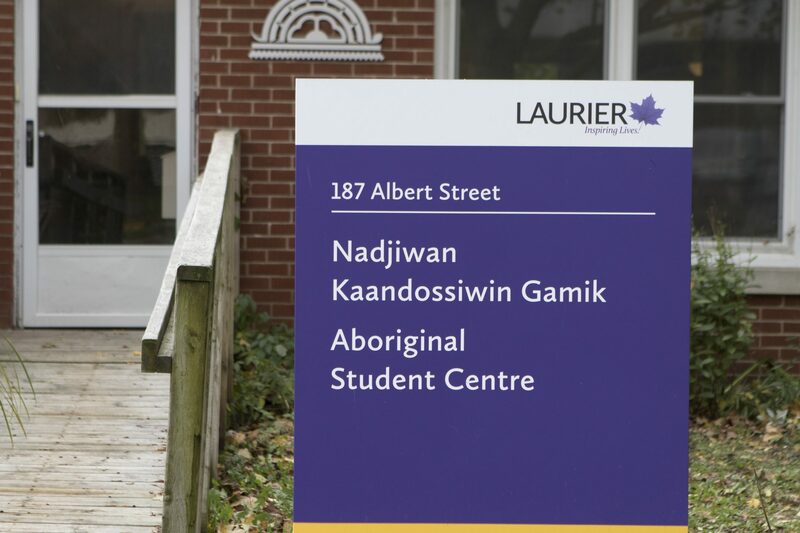 After completing her bachelor degree in First Nations and Aboriginal Counselling, Caibaiosai’s sister encouraged her to continue on with her education with Laurier’s master’s program. “She just told me how it would fit well with what I was doing in my work and my life and I just decided to go for it. For a time, I wasn’t sure I had the capacity and I realized that I actually do and I went for it,” Caibaiosai said. For Caibaiosai and her eight Indigenous peers, the program was challenging and difficult in regards to various different aspects. “This particular program really involved going into yourself and reflecting on yourself,” said Caibaiosai. Some prevalent challenges for Caibaiosai included having few close-family members, living away from her partner as well as using unfamiliar technology when writing papers and doing other school work. However, the main challenges that she faced were the ones which came from within herself. However, for Caibaiosai, having the support of her Indigenous peers was a huge aspect of encouragement as they worked through the program together. “It made it really comforting and we could understand each other, we related to each other’s stories when we shared and talked about them … you didn’t feel like you were the only one going through those things,” Caibaiosai said. Now, having completed the program, Caibaiosai is excited and proud of her accomplishment. “It makes me feel and realize that there is that capacity and there is that support. There is a lot of help when we need it. It was an uphill struggle and so I feel that I’ve done it and I can help other people coming up … it’s something that they can do too [sic],” Caibaiosai said. For others in her position who might be considering taking a masters program, Caibaiosai would tell them that anything is possible — no matter that person’s age and previous background. “There are so many doors that can be opened once you understand and once you have that knowledge. I can just say about this particular course … it really helps you to understand yourself. And when u understand yourself you can do a lot more,” Caibaiosai said.